Hello, it is Gloria Stengel (Scraps of Life) with you today. This is my second project as the September guest designer at Leaky Shed Studio! 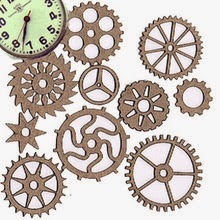 I have loved playing with the amazing chipboard items! I have created a Christmas card for you! I know, for some of you, it is way too early to think about Christmas cards! But, it is never to early to compile ideas! 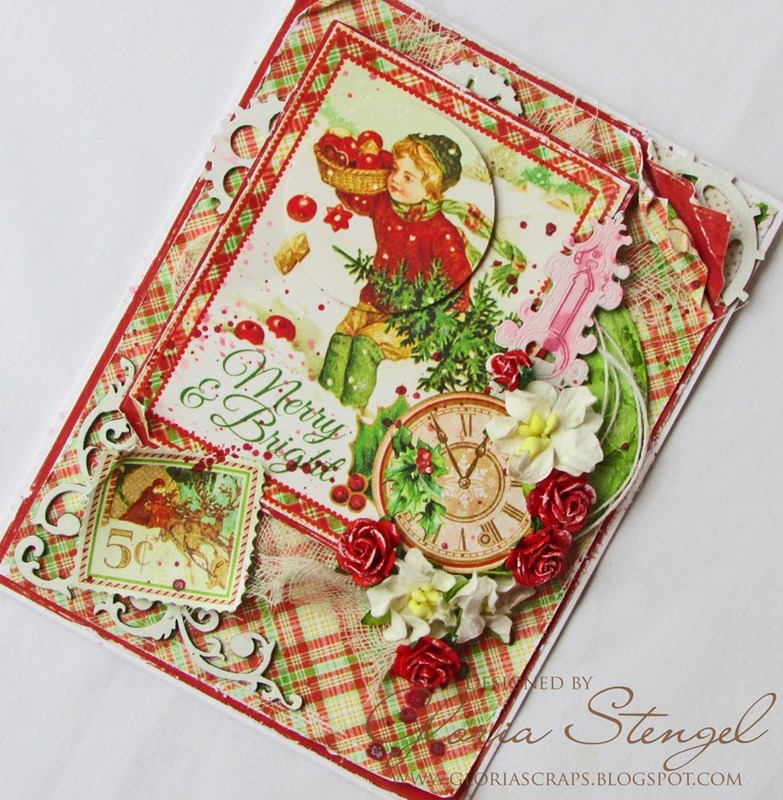 I created a 4 1/2 x 6 inch card, using lots of layers, chipboard items, and flowers. This is a lumpy one, and will require extra postage and a padded envelope. 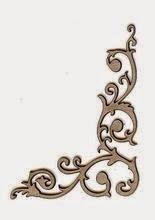 You could also use this idea to create a home decor item! I stared out by painting a selection of Leaky Shed Studio chipboard items with a coat of white gesso. Once the items were dry, I sprayed them with Tattered Angels Chalk Chalkboard Mist. 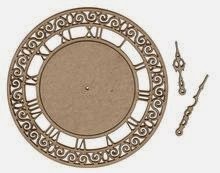 The large chipboard circle is actually the center piece from the Clock #1 chipboard item! (Never throw anything away!) I sprayed the chipboard with Tattered Angels Kiwi Glimmer Mist and then dried it with my heat tool. It gives a marbled look to the chipboard. I created a white, top-fold card from 4 1/2 x 12-inch cardstock, scored at 6 inches. I trimmed the red paper to 4 7/8 x 5 7/8 inches and distressed the edges before adding it to the card. I trimmed the plaid paper to 4 3/4 x 5 3/4-inches, distressed the edges and added it to the red panel. 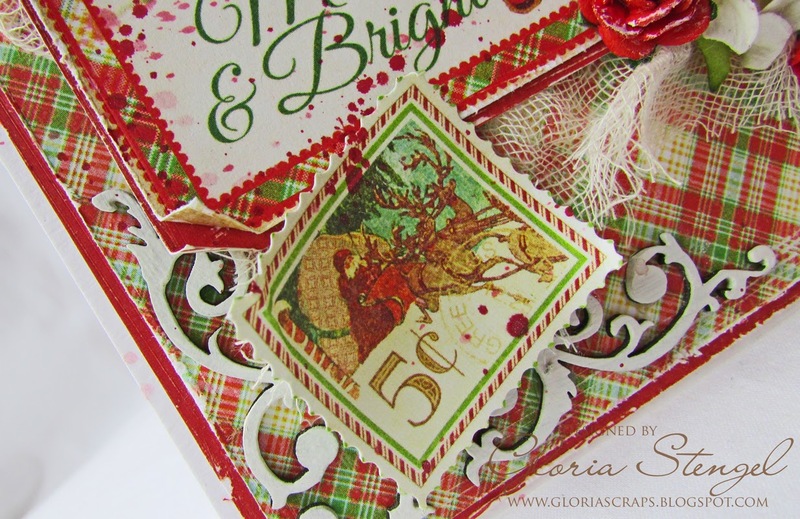 (The printed paper is from the Graphic 45 'Twas the Night Before Christmas collection.) I used Scor-tape to attach the cheesecloth to the center of the card. 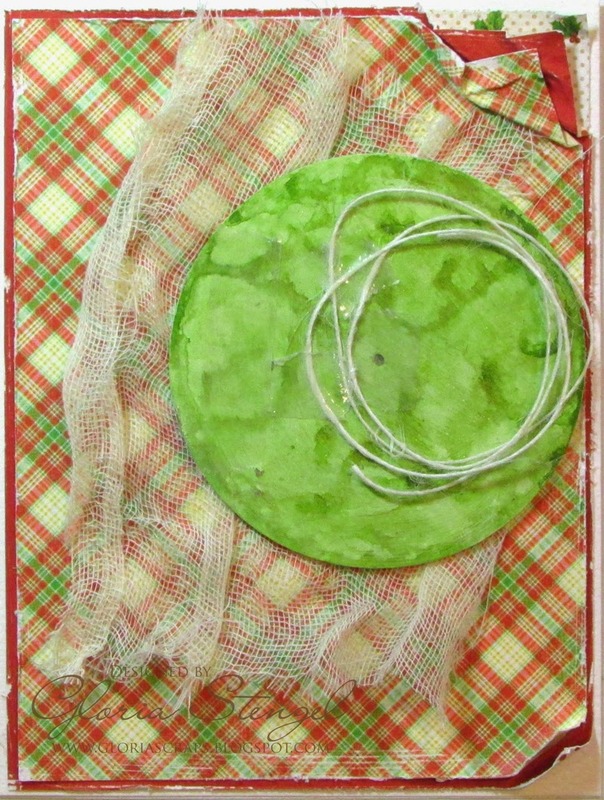 I glued the chipboard circle to the card, and then added the twine with Scor-tape. I trimmed out the main image from the designer paper, and matted it with red paper. I attached the image to the card with foam squares. I used the Keyhole Fancy as the base to build my flower cluster. 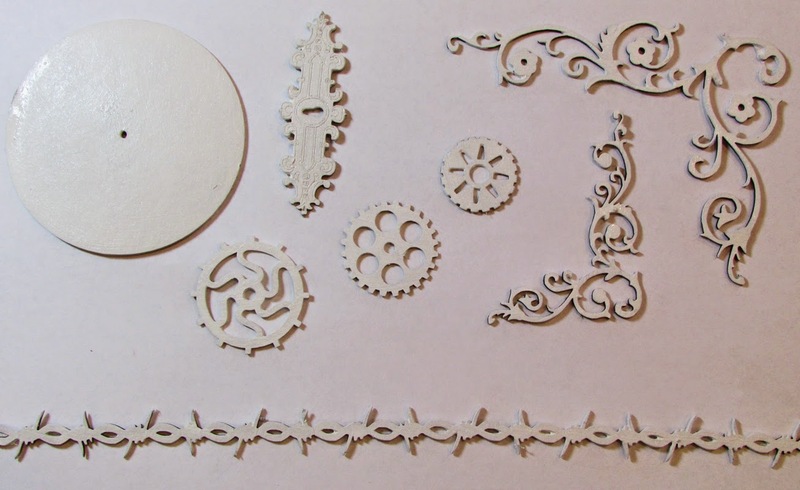 I used a clock image cut from the designer paper, and then added flowers. To mimic snow, I added a bit of white gesso to the red flowers. 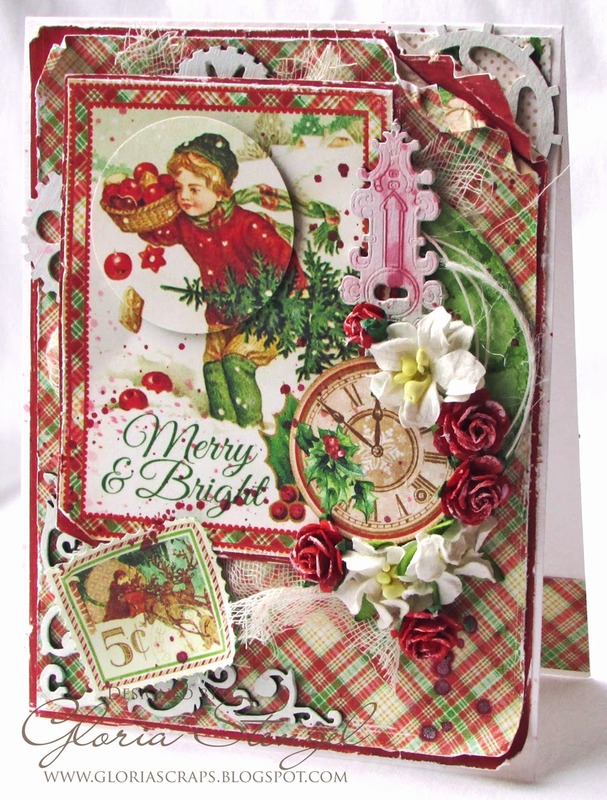 I glued the Flower Corner Small to the left corner of the card and added the postage image to the top. 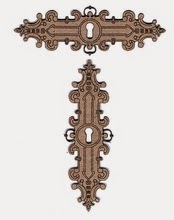 I tucked several Watch Parts around the edges of the image. Once the card was all put together, I used a pint brush to splatter it with Tattered Angels Creme de Cocoa and Crimson Glimmer Mist. Unfortunately, too many splatters ended up on the little boy's face! I saved the card by using a circle punch to trim out a second image. Then, I layered the circle over the main image with foam squares. 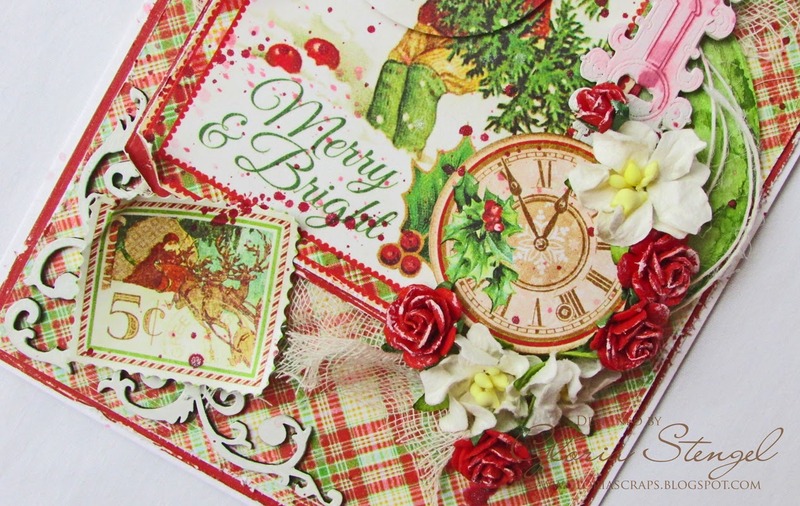 I hope you enjoyed my shabby Christmas card! Thanks for reading! I enjoyed my guest spot very much! 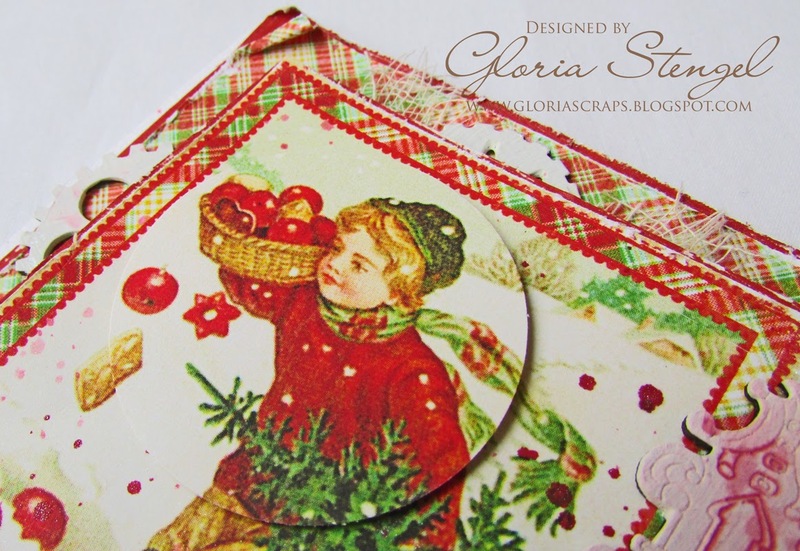 Be sure to stop by Gloria's blog, Scraps of Life, to see more of her inspiring work!